Classical Cabaret at 1st Stage. 19 the Musical in the Classical Cabaret at 1st Stage. 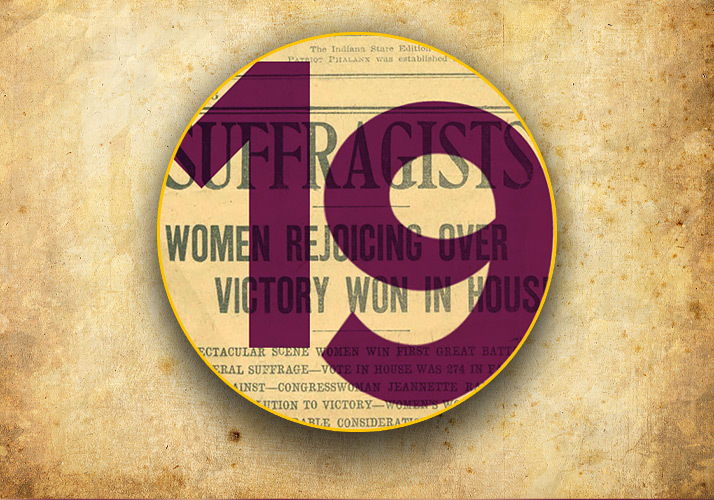 19 is the dynamic and little-known story of Alice Paul, the suffragists, and their fight to get women the right to vote-the 19th Amendment. 19 fuses jazz, spoken word, traditional musical standards and hints of gospel to transport audiences back in time to the Washington, D.C. of a century ago. The performance runs 90 minutes, with brand new material being debuted. TT4W will perform a series of vignettes that are the most significant scenes and songs from Act I & Act II. This is one of the final opportunities to get a behind the scenes glimpse of a musical during its creative development phase, before the full show reaches local stages and beyond. Based in picturesque Old Town Alexandria, Virginia (just minutes from Washington, D.C.) theater, film, and media company Through the 4th Wall (TT4W) is currently workshopping, booking and performing staged readings of our new original musical called 19. 19 is the dynamic and little-known story of Alice Paul, the suffragists and their fight to get women the right to vote—the 19th Amendment. The inspirational story of these fearless women is brought to life through jazz, spoken word, dance and audience interaction. For three nights in the fall of 2017, TT4W produced an early-stage performance of Act I of 19. On buzz alone, it quickly sold out and we doubled the seating capacity to accommodate. Encouraged by overwhelmingly enthusiastic support, TT4W has been working tirelessly to revise, research and write the entire show. 2020 is the 100th anniversary of the ratification of the 19th Amendment. Our goal is to get a full production of 19 up & running, and into theaters by the end of 2019. 2018 will be the year of multiple staged readings, where we workshop the show and garner the grassroots support that we hope will enable us to launch a major musical. In an age where women’s rights have finally become an important issue again, the time for 19 is now. 100 years after women got the right to vote, women are still being denied many basic rights, including equality and dignity. However, as we read nearly every day in the press, that is changing. 19 isn’t just a musical, it is part of a movement. This movement is a result of a long history of institutionalized repression and denigration, but the arc of the moral universe is bending back towards justice. And it is doing so with power and speed. For those interested in women's rights, history, great music, inspirational stories and/or seeing how the “musical sausage is made,“ these work-in-progress performances are a chance to experience parts of the show during its development.